Why a “Fresh Water Hose”? Although it is not essential to use a drinking water grade hose whilst filling your pool, it is worth noting that garden hoses contain chemicals to prevent them from becoming brittle in normal weather conditions. These chemicals are mostly present in very new hoses and very old hoses that have started to break down. 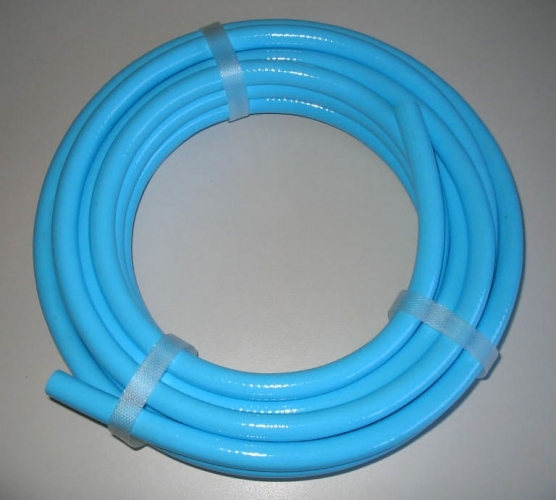 Water grade hoses are suitable for drinking fresh water from and therefore can be reused after the birth for other purposes such as camping etc. If you do decide to go with a garden hose, please ensure that you have rinsed it through thoroughly before use.